Let me say upfront that teachers have my utmost respect and admiration. They have one of the hardest jobs in the world, and are way underpaid for it. Most go into education for the love of the students, hoping to mold the young minds of the future. Today, I count my lucky starts I didn't get a doozee of a teacher like the one I'm going to rant about. Here's the problem: My son hates his English class. Nay, he abhors it. Almost every time I pick him up from the junior high, he has a horror story to tell. Worse, he gets totally confused with what the teacher is trying to teach, and he hates the assignments. Last year he was in the Creative Writing class. This year he's in the Science Fiction and Fantasy Writing class. He's been an active member of the Fantasy Writers Club for two years. This year, he's the club "emperor" and teaches a writing lesson there every week. He loves the play-writing unit he's in the middle of in his Advanced Drama class. Many, many nights I check on him before going to bed and find him up, reading a good book he just can't put down. And he hates his English class? What the?! At the beginning of the year when he complained about the teacher, I nodded and sympathized but insisted he needed to stick it out. You won't always have teachers you love, you know. It'll be okay. But now he's had her for seven months, and I'm changing my tune. As far as I'm concerned, this woman has no business being in education and giving the entire field a bad name. Mama Bear is coming out. This is way beyond, "I really don't like my teacher." It must take a superpower for a teacher to take a kid who lives for reading and writing and make him hate the subject. She can make a fun topic like mythology feel like lead (jealous gods and battles . . . really?!). She reads to the class aloud, but she's so monotone it's hard to listen to or follow, let alone enjoy. He has a hard time knowing if he'd like a book without her negative influence on it. When she explains a grammar concept, it's convoluted. And she's a grouch, to boot. I can't count how many times he's expressed confusion with a grammar rule she spent the entire period lecturing on (like that is the best way to keep kids interested). I explain it in a simple way (in about thirty seconds), and he has a light bulb go off over his head. "Oh! That makes sense. I get it." It's great I can explain concepts in a way he understands (in that sense, good it's not his math teacher), but isn't that her job?! I end up gritting my teeth all the time, because Mrs. What's-her-name should be doing this herself, and in a way that won't make him hate the subject. The other day, his English horror story of the day showcased her incompetence to the point that it had me laughing with tears in my eyes. The topic of the day: show-not-tell. This is something my son knows well. He's heard me lecture on it, he's read about it, and he's taught it at Fantasy Writer's Club. His teacher had an exercise where she put up a "telling" sentence on the board and supposedly demonstrated how to make it "show" instead. The kicker: her final sentence didn't show. My son was exasperated. "That isn't show-not-tell! That's still telling!" He has reached the point of thinking that taking English is stupid and useless. (He knows more about writing than she does, for Pete's sake!) I worry because he can't see the value of learning grammar. This from a kid who is a WRITER. HELLO?!!! His teacher has nearly ruined him in several areas of English, and it's all I can do to white-knuckle it through the last part of the school year. Next year, assuming she hasn't retired (we can all hope), if he's assigned to her class again, I will insist he gets transferred. She will not be allowed to influence him again. After I learned about the settlement of southern Utah, I'm amazed anyone stuck around. Many didn't. The original reason for getting a settlement down there was so the Latter-day Saints could be more self-sufficient. The Civil War had broken out, which led to a decrease in the cotton supply out West. Combine that with the fact that Brigham Young didn't like to rely on outsiders for anything, and he decided that the Saints needed a way to get their own cotton. They'd already had success growing flax in what is now Utah Country, but they needed a warmer climate for cotton. After scouts came back to Salt Lake and described the area, a lot of people were understandably wary. Volunteers were requested to settle the "Cotton Mission," but only one man raised his hand. The next week, Church leaders just called people from the pulpit, folks who had the skills they needed (everything from farmers to blacksmiths to coopers and even a mineralogist and a fiddler). I'd heard about those kinds of mission calls and always marveled that the men just accepted their calls and did their duty. Not this time. About a third declined. They knew what a harsh environment they were being asked to live in. No, thanks! Of those who did go, some turned around and went back as soon as they saw the area, and still more left after giving it a go for a time. The heat and other issues just made eking out a living there hard. A continuing problem was the Virgin River. The settlers had to dam it to reroute the water so they could actually water their crops. They spent much of the winter of 1861-62 making a dam and ditches. In the spring, floods washed out the dam and filled the ditches with mud. This delayed building their homes. The dam washing out (and then rebuilding it) became a common theme: it broke again and again over the years, making it hard to grow food and build shelter, let alone to grow the cotton they were there to produce. The settlers eventually began construction on a tabernacle, and then, on the counsel of Brigham Young, construction on a temple. I go into some of the challenges in building the temple in At the Journey's End, so I won't here. Just know that the people had their work cut out for them. I would have sat down and cried. By the time the Cotton Mission was disbanded, there was quite a large settlement, and living there wasn't quite as big a sacrifice. One interesting item is that a handful of people who were originally called to the Cotton Mission made a point of growing a token amount of cotton in their gardens every year even after the mission was closed. Their reasoning: They'd been called to grow cotton and hadn't ever been released from that duty. The early settlers had little in the way of material goods, and they sacrificed greatly to build both a tabernacle and a temple. At first glance, building a temple there doesn't make much sense. The bulk of Church membership certainly wasn't in the area. The Salt Lake Temple was under construction (although it wouldn't be done for some time). Before long, the Logan and Manti Temples were being built and would serve more members of the Church. In the end, President John Taylor, who became prophet shortly after the dedication of the St. George Temple, explained why it was built there: "Because there was a people living here [in St. George] who were more worthy than any others. Who were more worthy of the blessings of the temple"
Essentially, only the best of the best not only agreed to go down there, but they stayed and endured and sacrificed greatly because of their faith and dedication to God. That devotion was repaid with the blessings of eternity. I'd say it was worth the price. First, a reminder about my TWO book signings happening TODAY. See the sidebar for times and places. Another gem: this week's Tuesday tour stop was too great to pass up. Rob Wells has a brilliant sense of humor, and what he created for his tour stop was so original that Mormon Times even picked it up and linked to it. Click the picture to enlarge and laugh at a mini graphic novel called Bethany's Story, created entirely with my book covers. I tried to get it to post here so you could click on it to enlarge, but my techno-idiocy is shining through again. To see the graphic novel (and laugh), click HERE. I generally get three reader evaluations back from my publisher on every accepted manuscript. There's a patten with reader evals, one I can't explain, because as far as I know, the three readers are never the same people. For some odd reason, every time, one eval hasn't been helpful. It's either too vague, or the commentary is way off in left field, or something else. But the other two tend to be good, pointing out both strengths and weaknesses and giving a direction to go on revisions. With Spires, the evals were a bit different. As usual, one didn't really help. And the other two . . . conflicted on almost every single point. One eval said to add more of this, while the other said to take out what I already had of the same thing. One described something as a strength, while the other called the exact same thing a weakness. And so on. I read through them over and over, knowing I had to turn in a revision within a few weeks, and having no clue where to go. I asked my trusty critique group. They helped on several issues, but even they were split on several other things. They're usually my perfect place for advice, but in this case, they were already jaded by seeing the original manuscript; they couldn't give a real objective answer. I decided I'd better ask yet another person, someone who hadn't yet seen the book at all. I begged and pleaded for my good friend Josi Kilpack to read it and tear it apart. If I'm the Grammar Nazi, Josi is the Big Picture Nazi. She'll catch a plot hole the size of a pin prick, won't let you get away with motivation issues, and can simply zero-in on what the problem is. I told her the different directions I could go with the revisions and then sent her the file. So Josi read it. And then sent back a very long e-mail. As expected, she nailed several key points, finally giving me a place to go. I spent weeks of long days reworking the book, adding here, taking away there, expanding this, clarifying that. Due to a variety of issues, my editor hadn't been able to read it yet, so I was on my own. Doing revisions without the guidance of my beloved editor was freakishly painful. I finished the rewrite, turned it back in, and tried not to curl up in a ball and rock back and forth. Angela finally read it and gave me her content edit. As always, it was on target and perfect. Unfortunately, it also conflicted with much of what I had just rewritten. I needed to rewrite AGAIN, this time under a tighter time crunch, so I pulled long nights and went without showers. At this point, I wanted to cause someone serious bodily harm, because if my editor been able to read the thing from the get-go, I wouldn't have gone through those first weeks of heinous revisions only to have more ahead the undid much of that first work. I could have gone through a week or so of mild ones based on her suggestions. By the time I sent her the second rewrite, I had no idea if the story was even coherent anymore. And I was so exhausted I almost didn't care anymore; I was just relieved to have made the deadline and still be standing. Then I got a line edit back from some nameless contract editor. Hoo-boy. I cared again. With a vengeance. Scribbit, where I answered lots of questions about writing. Not long ago, Rebecca asked how to get through rejection. Shortly after that, a cousin sent an e-mail saying she'd just gotten her first rejection and asking for advice on what to do next. Since I've gotten the same question from two directions, I thought I'd answer it here. Congratulations! Now that you've been rejected, you're an official writer! Keep that first letter and start a rejection file. Then FILL IT UP. One major thing working against new writers right now is the economy. Publishers have come back to reject manuscripts they've previously accepted because they're cutting back on how many they're publishing at all. Other books are getting release dates shoved back. So it's not always a matter of quality. Sometimes it's about plain old numbers. With the typical timeline, Tower of Strength (which was just released this month) would have come out last September, and my next book, which I turned in October 08, won't be out until Spring 2010. That's about twice the lag time I'm used to. But after all the horror stories I've heard, I'm just counting my lucky stars that I'm even getting another book out at all. The bottom line: breaking in as a first-time writer is harder now than ever before. That, and if you didn't ever get rejected at all, I'd have to hate you. (It's a rite of passage for writers. Everyone needs that experience!) This isn't to say you're doomed and shouldn't submit. Just know that you need to up your game. Prove that you're the best person for the job. Rise above the competition. Polish, polish, polish. I've got a pretty good-sized rejection file going back to 1994. It's part and parcel of the whole writing gig. 3) Consider submitting the same piece to another publisher, possibly after a rewrite, and most definitely after you cool down. 4) Regardless about what you decide on #2 and #3, immediately move on to another project. Don't stop writing, or you'll get yourself into a self-doubt rut. Keep the wheels turning. 5) One huge shot in the arm is hanging out with other writers. Find a local writing group (early on, I found a lot of support in my local League of Utah Writers chapter). Consider attending the 6th annual LDStorymakers Writers Conference April 24-25, which will be in Provo this year. It's a great conference (and I'm not just saying that because I'm on the committee). Being with other writers can energize you like nothing else can. Hang in there! Rejection stinks. There's no other way to put it. For any other writers out there, feel free to throw in your own rejection advice in the comments! Quick announcement: This Saturday I'll be at two book signings in Utah County. Check the sidebar for details. Friend, closet word nerd (don't deny it), and Whitney President Rob Wells asked why in the world we sometimes say, "How come?" when we're really asking, "Why?" 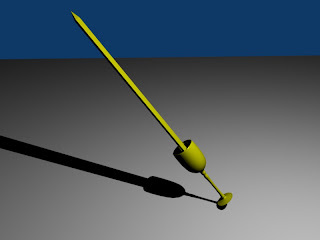 On the surface, "how come" really makes no sense, does it? I had no idea whatsoever, so I did a little digging. I discovered some consensus that "how come" is a shortened version of, "How did it come to be?" Which, you know, actually makes some sense. Similarly, Shakespeare used "How comes it" several times (such as in Comedy of Errors and Hamlet). However, The Word Detective says that the actual phrase, "how come" didn't come around until the mid-1800s in the U. S. My Oxford English Dictionary agrees, saying it turned up in print around 1848. The Word Detective goes on to explain that "how come" uses "come" in the sense of something happening, such as, "Come next July, we're going to Disneyland." Then you add "how" as an adverb, which asks, "in which way," and you get "how come." Basically, "How come" means, "in which way did that happen/is it going to happen?" Unlike “why,” “how come” strongly suggests that the questioner has already developed an opinion on the situation and has decided that something is not proper or fair. As with many words and phrases, there's ongoing debate on whether "how come" is correct in standard English. I've seen it enough in print that I think it's pretty much accepted in most circles, with some academics being the last to say it's not correct. Surprisingly, however, I don't have a strong opinion either way. When my son was just a tiny baby in one of those baby swings, I began writing alone for the first time instead of with Sam, my collaborator on two previous projects. As I've mentioned before, it was darned scary. The book was a Young Adult fantasy which I entitled The Golden Cup of Kardak. It's a fun story, if I say so myself. Here's the relevant part: near the end of the book, the goblet turns into a sword. A couple of years ago, my son, who was no longer that little baby but a big kid, decided to read it. He marked it up with his own editorial red pen and seemed to really enjoyed it. At the end of one chapter, he scrawled, "Cool!" and on another, "Fantastic!" High praise from a then-11-year-old. Fast forward to 2009. He's really into computer animation and wants to do it as a career when he grows up. He's been doing tutorials with Blender software and making a bunch of cool things with it. Recently he said, "Hey, Mom, remember the Golden Cup of Kardak? Check this out." Unfortunately, the file of the actual animation is way too big to load onto Blogger, but here's a still-shot of the goblet-turned sword. Rob Wells on Six LDS Writers and a Frog, wherein the girls on my book covers are part of a graphic novel. Below: Me next to an Salt Lake Temple Earth Stone. Those puppies are huge! One of my favorite pieces of trivia about the Salt Lake Temple is that Brigham Young originally wanted to build it out of . . . adobe. When I first read that, I was confused. How in the world could he have assumed that the magnificent structure he saw in vision was made out of dried mud? Of course it was gray granite! At first sandstone won out. It was relatively lightweight and close to the Temple Block. Work moved right along until, due to Johnston's Army, they buried the foundation to protect it and fled the city. As many people know, once the foundation was uncovered some years later, it was cracked and had to be replaced. That is when the gray granite we know and love was chosen for the stone. Spires of Stone goes into some of the difficulties in transporting the stone and how long it took to bring ONE stone to the temple compared to the sandstone (4 days round trip for one stone versus a couple of stones per day with sandstone). The work basically came to a standstill. More on the transportation problem in a minute. So the temple was going to be built out of gray granite after all. But I still couldn't figure out why Brigham Young had ever thought it should have been adobe. He'd seen the temple in vision! Couldn't he tell? Then I came across a quote from a captain in Johnston's Army, describing what Salt Lake City looked like as they marched through. Many of the homes and other buildings were made from adobe. Which he described as looking like cut, gray stone. My opinion is that Brigham Young thought what he saw in vision was the same substance he saw around him all day long. Adobe is what he was familiar with, and it makes sense to me that his mind would have gone there first instead of assuming the grand, gray building was made of granite (which probably wouldn't have even occurred to him). Back to the stone-hauling issue: So eventually they determined to use the granite up Little Cottonwood Canyon. But as I said, it was seriously heavy and far away. Leaders tried to come up with all kinds of solutions to the transportation problem, because at the rate they were going, it probably would have taken a century or more to build instead of 40 years. My favorite (because it's just so out there) was building a canal from Big Cottonwood Creek and floating the stones to the Temple Block. They basically built the canal (quite a feat, considering all the ravines and obstacles it had to get through). It was twenty feet wide at the base, gradually widening at the top, and was four feet deep. But it didn't work; it wouldn't hold water. W. C. A. Smoot said the soil across an area in Parley's Canyon was loam, which acted like a sieve for the water. It drained about as fast as it came in. You kind of need water for a canal to work. So the canal idea was abandoned. They tried a wooden railroad, but it didn't work, either. Wasn't strong enough. They eventually halted work at the quarry and built a commercial railroad that could take dozens of stones to the Temple Block in a day. And that is when the work finally picked up. In the end, it was a good thing that the Salt Lake Temple took four decades to complete. By the 1893, science and technology had improved to the point where the temple had better heating, hygiene, lighting, plumbing, and more than it possibly could have had even a decade before. This temple—by far the largest ever built even yet—would serve the people better (and safer) than it could have otherwise. It could immediately handle more people and reach its potential, whereas before it would have been too big to manage such a feat. I think the Lord knew that. So what if I'd originally imagined the retelling in a contemporary setting? Who said I couldn't retell the story in the 1800s? And thus the plot and characters for my next book were born. Instead of trying to adapt Shakespeare's story to the twenty-first century, I could make it work in the mid-1800s. That meant figuring out a lot of plot points: in what way could the Claudio character mistake one woman for another and how could it be believable to the reader? I came up with using a situation involving a photograph, which necessitated research into the photography technology at the time. The technology had to dovetail with the temple history, preferably at a point in the construction where something interesting was actually happening. Those two factors are what led me to zero in on 1867 as the year the story would take place, making it my earliest historical. I pulled out my volume of complete Shakespeare and reread the play. Sometimes I had it next to me as I drafted. I cannot tell you how much fun some of the scenes were to write, especially those between Ben and Bethany (Shakespeare's Benedick and Beatrice). I purposely mirrored much of their dialogue. There were times I found myself laughing aloud and grinning ear to ear. Part of the joy of adaptation is that you can change things. For my story, I decided to combine the characters of Don Pedro and Don Jon, but only as far as their plot purposes, not their actual personalities. Don Jon is the villain in the play. He purposely sets things up to go wrong. Don Pedro, on the other hand, is a good man who figures out that Benedick and Beatrice still have feelings for one another and decides to play cupid. I gave Phillip both jobs, but I had him inadvertently cause the problem Don Jon purposely sets up. Phillip is good like Don Pedro and would never intentionally do something villainous. That's why his name starts with a P instead of a J. One big change came when I was more than halfway through the first draft. I suddenly realized that the characters would not play out the story the same way the Bard's did. There was no way I could redeem the Claudio character the way the play did. It wouldn't work, for starters, because the further I got into the story, the more I realized that the Hero character would have none of it. Then out of the blue, Phillip started doing all kinds of things that threw a pretty darn big wrench into the original story. Instead of freaking out and trying to force my characters back into their proper roles, I gave them free rein, and they played out their story the way they wanted to. Things morphing at the end of the book necessitated me going back to earlier chapters and changing quite a lot there. I went through more drafts than I'd done in ages on any other book. When I finally submitted it at the end of the year, I was pleased with the way it had turned out. 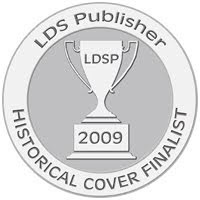 I didn't bother attaching a title to it, because 1) I'm bad at titles and 2) they always pick the title anyway, so I just submitted it as my "Salt Lake Temple Book." When it was accepted (for another fall release! ), I was thrilled. My editor said some areas needed rewriting, but didn't really point me in a direction. I had almost a month to get the new version to her. A simple request, one would think. I'd done revisions before, so I wasn't worried. The difference between into/in to and onto/on to. First, let's take out the TO part and just deal with IN and ON. IN and ON are both a plain old descriptors. They describe where something currently is. The book is in her purse. The cat is on the pillow. She put the book into her purse. The cat jumped onto the pillow. She put the book in her purse. The cat jumped on the pillow. When do you use IN TO and ON TO as separate words? You make them separate when they're not working together, when they just happen to land side by side. Joe came in to check the stove. To check the stove is acting as a phrase explaining what Joe came to accomplish. TO CHECK is the verb of that phrase. It's not connected to IN. The IN belongs elsewhere, to the location Joe happens to be entering on his errand. Joe came in the kitchen . . . to check the stove. Here, in is clearly separate from to because the kitchen is where Joe was headed. See how in the shorter version, ("Joe came in to check the stove.") in and to just happen to be next to each other? Joe came INTO the kitchen TO check the stove. Joe came into check the stove. He came into WHAT? He can't go into a CHECK. He came in. And he checked the stove. Two separate actions. She went back IN TO take the test. She went back IN (silent question asks: TO WHERE?) TO (or, IN ORDER TO) take the test. She went back into the classroom to take the test. Can how see how IN and TO don't belong together? He put the cheese INTO the fridge. She jumped INTO the pool. The baby put his fingers INTO the mashed potatoes. The same concept applies with ONTO/ON TO. ON TO are two words that happen to be next to each other, doing different functions. When in doubt, pause after IN or ON and then continue the sentence. Does it sound funky? Then you probably need INTO or ONTO. She moved on . . . to other things. Yep. That sounds right. She's moving on, doing something new. Making it one word ("She moved ONTO other things") would mean she's getting on top of other items, say, climbing a pile of books or a stack of tires. He climbed on . . . to the table. He climbed onto the table. Next week: Why in the heck does "how come" mean WHY? That kindergarten trauma was FOUR YEARS AGO. Now, her little sister is in kindergarten. Last night, I was ordered in no uncertain terms to MAKE SURE #4 wore green today so she wouldn't suffer as #3 had. I laughed and assured them both I would. Apparently my word isn't good enough. Both older sisters got #4 out of bed early (she's in afternoon kindergarten) and dressed her in case I'd forget. Then they kept telling her what a great St. Patrick's Day she'd have, unlike #3's in kindergarten, which was just so horrible . . . I'll never, ever live that day down. Heather asked: Are you going to write a sequel to Band of Sisters (release date: spring 2010)? Most likely (assuming Covenant wants it). I'll probably have to start research on that pretty soon. 1)What's your biggest guilty pleasure? Probably the silver bag of Guittard jumbo chocolate chips. They aren't for baking. They're for eating straight. 2)What do you do in your spare time to wind down/relax (besides blogging, of course)? Spare time? What's that? :) I enjoy reading, knitting, and taking long baths. In theory, I love hiking in the mountains, but that's a rarity. Charlie Moore had a multiple-part question: What is the one idea, vision, concept or premise you've had that for one reason or another you haven't put down on paper? Why? I have several partial manuscripts that might fit that description, but I don't think there's any big concept that has hit me that I haven't at least partially put to paper. There's one manuscript particular that had a concept I really wanted to write about. Several years ago, I got a few chapters into it but haven't finished it. Part of me is afraid to; I don't know if I could do the concept justice yet. Maybe someday. He also asked: And have you ever incorporated an idea, vision, concept or premise that wasn't part of something you were working on into that body of work and made a cohesive fit? Yes, for sure. One of many examples is when I saw an author being interviewed on TV (no memory on who it was anymore) and somehow it came up that in this one room of their house, someone had died and someone else had been born. The idea smacked me like a ton of bricks: life ending for one person and beginning for another in the same place. What if the two events happened close to one another in time? That would be a sacred moment for sure. I was writing House on the Hill at the time, and that idea made it in. I think I've gotten a flash or two like that for every book. Heidi Ashworth: Approximately how many words a day do you write when you are writing a book? That depends on a lot of factors (am I also researching, do I have freelance edits or articles due, etc. ), but in general, if I'm getting in a steady 1,000 words a day, I'm pretty happy. Jami: What's the silliest thing that you do regularly? Stay in my pajamas WAAAAAY past what is normal. That's not too silly, is it? Tough question. Karlene: Josi asked about your fav book of all time. I know the answer to that. So pretend there are no Anne books (I know, scary thought). Then what would be your fav book of all time? Aside from my answer last time, I might have to say that some of my all-time favorites are Pride and Prejudice, The Great Divorce, East of Eden, and To Kill a Mockingbird. Totally different books all, but I loved them. 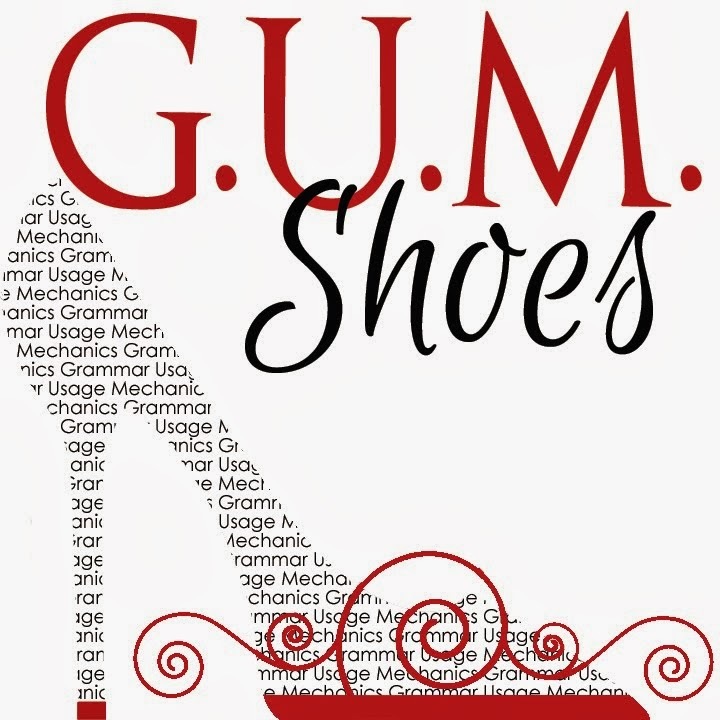 Also, what is your fav style of shoe? I'm really not much of a shoe person. Indoors, I'm in socks all the time. Forget the shoes. But in general, the favorite shoes I own are ankle boots. Your current brand of shampoo, toothpaste, deodorant? Whatever I can get for a rockin' good deal through The Grocery Game. I'm not picky. But don't give me Ultrabrite. As a general rule, I hate dogs up close. They're fine at a distance. I love the right cat, but not all of them. If you were a guy, would you wear boxers or briefs? I've never thought of that before . . . I have no idea. Probably briefs. Amber: How many hours a day do you write? Again, totally depends on the day and the project. Counting articles, blogs, and other freelance work as well as my fiction, I'd say a couple of hours a day. Sometimes more. Sort of depends on what you define as "writing." Which is longer for you, the writing or the editing? The writing, probably. I can easily edit more than 1,000 words a day (my average for drafting), so editing goes faster. The trick is that sometimes I end up with several drafts, so in that sense, editing can take longer. Do you know Brandon Mull? (My daughter is a HUGE fan). I do. I've met him a couple of times and even sat at the same Whitney Gala dinner table when he won last spring. He doesn't remember me, though. Tink: I know you said you've been writing since you were little, but I'm wondering what finally inspired you to submit a manuscript and who was the inspiration behind it? That would be my husband, who lit the fire under me to finally send in my first submission (and learn how to submit and all that). Part I of my Writing Journey talks about that first manuscript and how he got me to send it out. Melanie: Could you please your best, absolute most amazing chocolate experience for us? Man, this is a tough one to answer. I'm going to go with the chocolate experience that impacted me most as a kid: visiting the Fazer chocolate factory in Finland. You drive up and see giant silo-looking structures filled with melted chocolate. The parking lot smells like chocolate. You go inside, watch a video about chocolate and how they make things, then go on the tour. The machines were so dang cool (I loved the ones where they made the cookies like U. S. Oreos--only better). Periodically, we got to stop at taste-testing booths and eat all we wanted. The only catch: you couldn't get a drink or take of the samples with you. But yeah. Talk about chocolate heaven. One of the best part about writing novels based on historic temples is learning so many cool tidbits that most people never hear about. I learn far more than ever makes it into my books (first and foremost because they are novels, not history lessons), so I thought it'd be fun to pass along a few fun things that aren't in my books, starting with Manti. 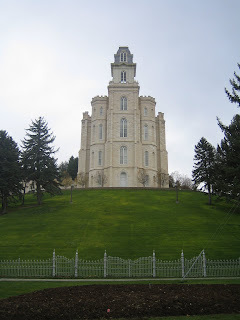 First off, David, a friend of mine (who has a private blog, or I'd link over) passed along an article about the Manti Temple. It's a great read. Thanks to my research, I already knew most of the information in it. One part of the above article made me smile: it includes one story that's retold in Tower of Strength. Before my research, I hadn't known that a stone was cut from the Manti Temple quarry and brought to Washington, D.C. to be used as part of the Washington Monument. In the center is the word Deseret and above that the all-seeing eye. The stone sits near the top. However, after President Young's death, his successor, John Taylor, changed things. While there was still a lot of volunteer and tithing labor, many workers did get regular pay. He, the quorum of the Twelve, and the temple officers set the rates based on the different jobs, paid in either cash or commodities. Among the wages: common laborers received $1.25 to $2.00 per day, quarrymen $2.50 to $3.00 per day, and the master mason, E. L. Parrry, received $5.00 a day. After they were settled and doing well (and being creatively thrifty--there are lots of fun stories about that), the people sacrificed and donated what they could to the cause of the temple. Ellice Moffit, who was a young girl at the time, reported that their family had saved up enough money to buy a few gallons of linseed oil and white lead for paint so they could paint the fence around their house. The Church asked to use it as part of the first coat on the temple. A lot of Danes settled the area, and they were great at laughing at themselves. Another story in A Folk History is retold about "Silent Pete," a man who was very unlike the talkative Danes; he usually gave one-word answers. The story goes that Noble Andrew, a Dane, asked (I'm not repeating the accent recorded in the original, and I'm not sure what was meant by "bot" flies): "I understand, Peter, that your horse got bot [sic] flies. What did you give him to get rid of them?" A week later, they met again. Noble said, "By the way, Peter, what did you say you gave your horse to get rid of the bot flies?" "That is what I thought you said. It killed mine." Silent Pete answered, "Killed mine, too." What a fun week this has been! Thanks to everyone who participated in giveaway! Today's post will be short and sweet, announcing the grand prize winner, who gets the Colorado Kernels Gold Gift Basket, worth $40.00! And the winner is: Hi, it's me, Melissa C! 1) TWO people get the Love Notes CD of romantic music performed by Glenn Hatch. Those two people are LexiconLuvr and SO. 2) The SLC Baby Bandz gift pack goes to Lolli. 3) The Sew Sara bib goes to Krystal. 4) And The Worldwide Ward Cookbook goes to Brooke. Unfortunately, in the end, the financial risk was deemed to be still too high to publish girl chapter books like the two I'd submitted about St. George. Let me say one thing: rejection stings. No matter what. It's painful, it's icky, and it makes you miserable. You never, ever get used to it, even after you've been published and even when you can intellectually see past the situation and know it's nothing personal. To make matters even stickier, right around this time I also submitted a YA fantasy I'd written years before, since Covenant had done a few of those (like K.L. Fogg's Serpentide and David Farland's Of Mice and Magic). They didn't take it, either. I guess the good part is that these rejections didn't crush me like others in the past had. But it was still difficult and, well, not fun. You'd think that being published (having my fourth book accepted and in the pipeline at that point) would have given me this great self-confidence and ego armor. Hardly. Also, know that just because you've been published doesn't mean you'll continue to publish. I know lots of authors who have gotten rejected by their own publisher after having more than one book published by them. There are simply no guarantees in this business. I was given the green light to submit the girl series elsewhere. I did. Within a few months, I got an answer from the other big LDS publisher. Basically, they said the same thing: we love the idea, great manuscript, but it's not a financial risk we can take. I knew the books were so specific to Utah that they likely wouldn't work on a national level, even if I took out the religious stuff. I knew this, but I still took out the religion and tried finding an agent for it. Of course, I was told that yup, it's too regional to work nationally. Getting the rejections on these chapter books was frustrating in a new way, because I wouldn't have ever written those stories if someone else hadn't suggested it first. I felt like I'd totally wasted time, effort, and emotional energy to create something that was for naught. Then again, it was totally my fault for getting my hopes up and spending all the time on what was a doomed experiment from the start. My daughters were particularly disappointed, because these books were the only things I'd written that were sort of for them. Bummer. I still have those two "St. George Girl" books, and I might put them up for download on my website some day as e-books if I find some interest in them. I reluctantly set them aside and moved on to plotting my next temple book: Salt Lake. Once again, I was burning daylight (a common theme with me . . .). I'd spent the first several months of the year researching and writing those two chapter books, and while I'd also done some work on the Salt Lake book, I hadn't made much progress. And here it was April again. Would I be able to pull off practically the same timetable as I had with ATJE (get it written, polished, and submitted by the end of the year, and have it not stink)? Yowza. When I first started the research, I had no idea what story to tell. 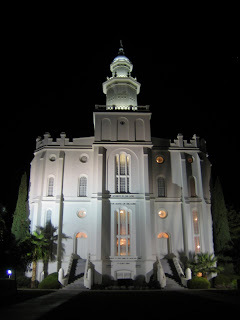 For starters, as you likely know, the Salt Lake Temple took a whopping forty years to construct. Obviously I couldn't cover all that time. A tricky issue was that for much of that time, construction was pretty uneventful ("Let's see, this year we laid another row of stones . . .") What would the story be, and where between 1853 and 1893 should it take place? Once again, I had nothing. No characters, no plot. Last time both of those came after I started the research. So I dove in and hoped someone like Maddie would show up. But this time, I was antsy on a different count. For years, I'd wanted to write a modern-day adaptation of my favorite Shakespeare play. I'd even written notes about certain scenes and how I'd make them work in a contemporary setting. I'd envisioned entire scenes with characters and dialogue . . .
Now? Well, I had willingly stepped into a historical box and had promised to stay in it for a while at least. Man . . . too bad I couldn't write that Shakespeare book. It would have been a ball. Wow! This giveaway has become such a riot; I'm loving it! One lucky winner on Friday gets a copy of The Worldwide Ward Cookbook, by Deanna Buxton. 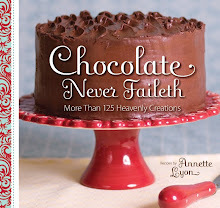 If you don't win, no worries: the author is showing off some of her chocolate recipes at a fun event called, "Confessions of a Chocoholic Cook" on March 18 at the Scera lobby in Orem at 7pm. (I KNOW!) The event is free, but you must RSVP by the 16th. Just e-mail covenant promotions at gmail dot com. The book is now on the giveaway post. 1) The open circle pendant from Jenn at Handmade from the Heart goes to: Rachelle at Rachelle Writes! 3) The TWO winners for copies of the CD An Angel to Watch over Me, a tribute to mothers, donated by Covenant Communications, goes to: Shauna at Trying to Stay Calm and to Beth L, who had only ONE entry. So even THAT works! Come back tomorrow for the next set of winners! I'm a fossil with some English issues, and today's topic is no different: imply vs. infer. These are constantly mixed up, and I mean constantly. I've seen the mistake in General Conference reports. I mean, come on! It's so prevalent (much like nauseated/nauseous) that it wouldn't surprise me at all if eventually the rule goes away. Which would make me sad. And seriously annoyed. The wrong way is actually listed in one dictionary I checked (but not until the 4th definition, so that's something). Remember, dictionaries report what people are saying, not what's correct. So what do imply and infer mean, and when do you use them? They are two sides of the same relationship or event, much like speak and listen. One person is speaking, telling something, and the other person is listening, hearing the speaker. Same event, different ends of the relationship. It's the same with imply and infer. One person speaks and implies, or hints at, something, say that the neighbor's dog is really ugly. But they don't say it outright. Maybe they say, "That dog Fuzzles looks like an ape." You as the listener take that statement and interpret it as you will. You are inferring the meaning from what the speaker just said. You could infer that your friend likes apes and therefore likes Fuzzles. Or you might infer that your friend thinks Fuzzles is ugly because he looks like an ape. The point is that the speaker IMPLIES and the listener INFERS. Another way to remember it: INFER has an F in it. When you infer, you FIGURE out the meaning, which begins with F.
The most common error is using infer for the speaker as in, "She's so rude. She totally inferred in the nastiest tone that these pants make me look fat." No, the LISTENER inferred when the SPEAKER implied that the pants might not be the most flattering. So I can imply my opinion on all kinds of matters without clearly saying what I mean. Then I hope that whoever is listening to me infers my true meaning. And in case you missed it, Novembrance, who also chronicled how we became friends. First, the today's giveaway winners. 1) The 2 oz. bottle of "Tabitha" perfume, donated by Karlene of Urban Botanics, goes to Mindi at The Battraws! 2) The cookbook by Luisa of Novembrance, Comfortably Yum: Food for Body and Spirit goes to Sandra of Sandra's Dance! 3) And Sherrie Shepherd's pre-release CD, Solitude goes to Cheryl at Happy Meets Crazy! AmandaD asked: What other LDS authors do enjoy reading? AmandaD also asked: What are your favorite movies? Much Ado about Nothing, A Knight's Tale, and some of the old Hitchcock greats like Charade and Wait until Dark. I also love old musicals like Seven Brides for Seven Brothers and The Slipper and the Rose. JustRandi asked: If you could write and be successful in any genre, would you choose a different one? Ideally, I'd love to write in three or four genres. 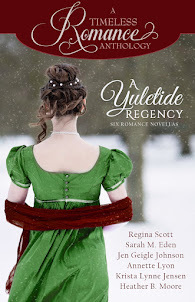 My next book is a slight genre switch, going from historical romance to contemporary women's fiction. I have really enjoyed writing historical fiction, but some day it would be fun to branch out into murder mysteries or young adult fantasies. She also asked: When your husband isn't coming home for dinner, do you still cook? Rarely. The kids are old enough now to cook a bit themselves, so I let them have at it with pancakes or macaroni and cheese. One of my favorites was Heath Ledger (hence A Knight's Tale being in my list of top movies). I also love Robin Williams, Dustin Hoffman, and Kenneth Brannaugh. I love a good family game night. The few times we've gone camping or have just gone up the canyon for a campfire and dinner have been awesome too. We were cha-cha partners on one of BYU's summer ballroom teams. I wrote all about it here. Who is your favorite fan? My mom. I love how everywhere she goes, she brags about me and my books, even in the most obscure places. She's bragged in the streets of Jerusalem and at a health food store in Helsinki. It's awesome. Not unless you're my eleven-year-old daughter, and even then, it's a frustrating experience! Have you gotten fan mail? If so, how have you handled it? I get some, but not tons. I try to answer every letter or e-mail I get. I also keep them all. Writers tends to swing between great self-confidence and absolute despair so often that I need to read something positive when I'm feeling like I'm kidding myself. What was the process of getting your first book published? Lots of writing, submitting, getting rejected, networking, getting critiqued, and not giving up. 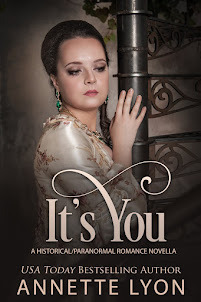 Part II and Part III of my Writing Journey series cover most of the story of my first book. How do you handle criticism from an editor/publisher? I've been in a critique group for over nine years, so I've got a pretty thick skin. I will say it's easier to take criticism from my group (since I know and trust them implicitly, thanks to our long history together) than others, but my editors have always been great too. As a writer, you have to reach the point where you know in your heart that criticism from editors is not a personal attack. In my experience, it's always been aimed at improving the work. How could I not welcome that? I may not agree with everything, but I don't get upset over suggestions and criticism, and we always find common ground. I've been very lucky with the editors I've had; they're both excellent at what they do. Aside from the LDS writers I listed above, of course there's L. M. Montgomery. I also love Charles Dickens, Jane Austen, Harper Lee, C. S. Lewis, and John Steinbeck. And for the record, I despise Faulkner. 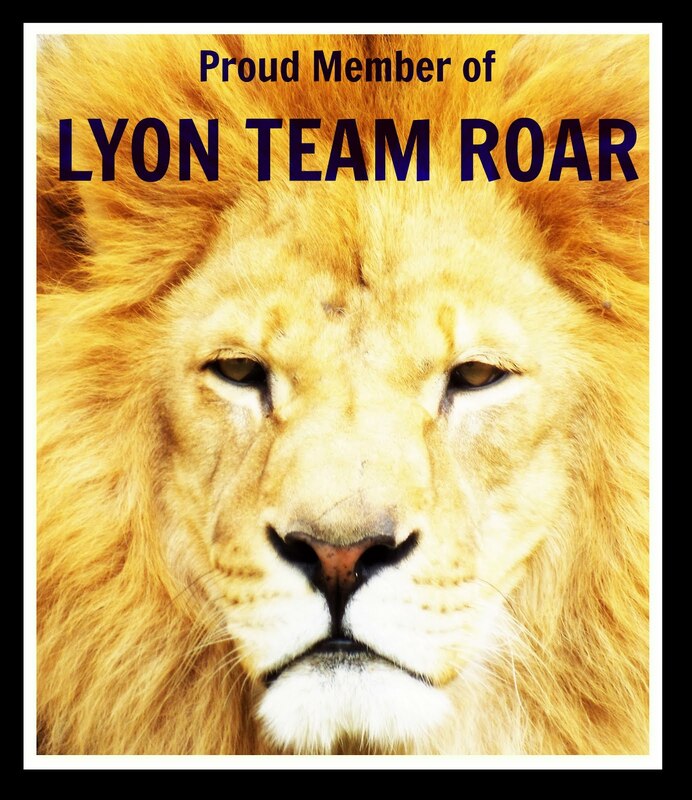 I have lots of sponsors providing oodles of prizes, and trust me; you'll want to win! 1) Remember my post about designing a perfume for Tabitha in Tower of Strength? Now you get a chance to win a 2. oz bottle of "Tabitha" (valued at $24.95). The rose scent is tempered with China musk and gets a slight kick from a drop of juniper. I don't usually like floral scents, but the rose is subtle, and the entire scent is totally awesome. It's a soft perfume, not at all overpowering. I use the Tabitha perfume and hand lotion every single day. LOVE it! To learn more about the Tabitha scent click HERE, and to find out more about Urban Botanics, visit THIS PAGE. 2) One of my oldest bloggy friends, Luisa, is known as the consummate cook, and she has finally put some of her recipes together into one place for the rest of us who love food and want a taste of her brilliance. She's giving away a copy of her cookbook, Comfortably Yum: Food for Body and Spirit. Visit her blog, Novembrance. Sherrie has a CD called Solitude coming out soon. I personally can't wait! You can pre-order the CD at her website HERE and listen to more of her music HERE. 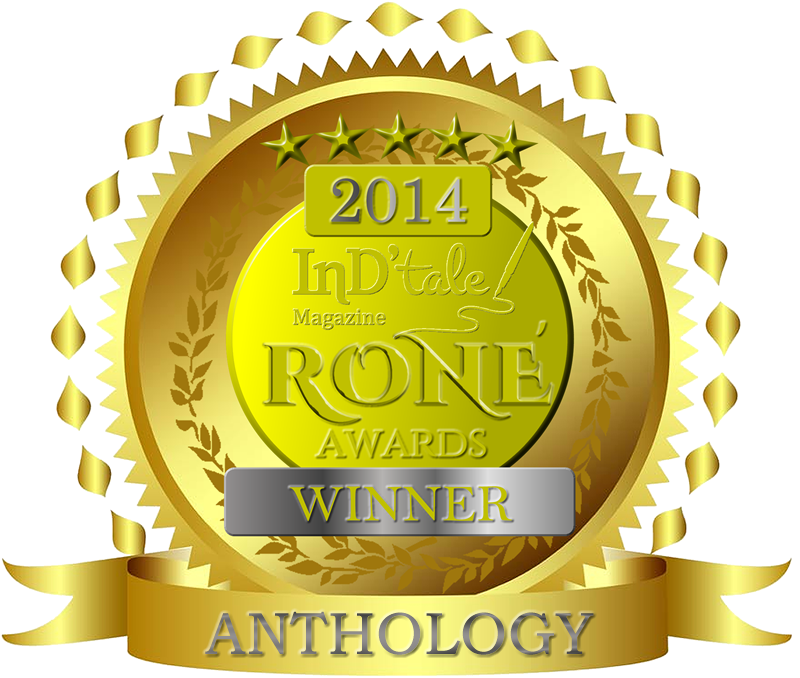 One of today's winners will receive an advance-release copy of Solitude. 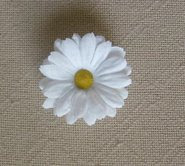 1) Today's first prize is handmade by Jenn, who sells darling necklaces and scented soaps at Handmade from the Heart. The winner gets to choose a sentiment, names, or a special word to be stamped into the pendant. Then they'll choose a glass pearl in light pink, cream, or charcoal to hang from the center, or a sweet, stirling charm to finish it off. Value: $25.00. 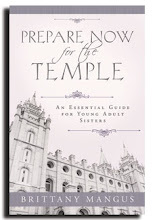 2) You'll also be entering to win Brittany Mangus's book Prepare Now for the Temple, a great guide for those getting ready to go through the temple for the first time, written especially for women. 3) Then two lucky winners will receive copes of the new CD An Angel to Watch over Me, a musical tribute to mothers. It includes music from Joshua Creek, Jessie Clark Funk, Jenny Jordan Frogley, Dave Blasucci, Lyndsi Houskeeper, Lauri Carrigan, and more. The CDs are donated by my publisher, Covenant Communications. 1) April of April Showers (and the designer of my cool bloggy giveaway button . . . let's give her some props!) is giving away a personal blog header, designed especially for your blog. 2) Sandra is offering an Urban Botanic Parfume gift collection using her new scent, "White Pearl," inspired by Tower of Strength, a $45 value. The scent is a light, refreshing blend of coconut, rose, and white musk. It's very feminine. The gift pack includes 3 Urban Botanic products scented with "White Pearl": Parfume spray, Nourishing Body Lotion (honestly, the UB lotion is my favorite, as if I haven't said that enough times lately) and a Refreshing Shower Gel. Plus, a bit of fun news: If a man wins this prize, he'll get the gift pack in a scent Sandra designed for the hero of Tower of Strength, Samuel, called "Timeless." The UB shower gel doubles as a shaving gel, and the lotion is a great after shave. "Timeless" is masculine but not overpowering. I really like it. 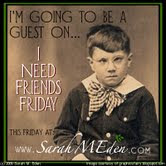 Visit Sandra's site, Your Scent Your Way. More about the CD: Do your children's eyes gloss over as soon as family scripture study starts? 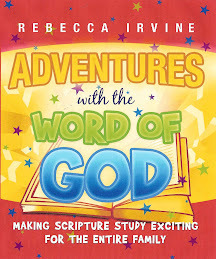 Adventures with the Word of God is exactly what you need to get them excited about scripture study. Together, your family can study and learn from sets of verses on similar topics, which helps children to better understand the language of the scriptures. Helpful hints are included to provide additional ways to encourage children to pay closer attention during family study time. With this handy helper, children can gain the tools they need to begin personal scripture study and increase their individual testimonies. A copy of The Worldwide Ward Cookbook, by Deanna Buxton! If you don't win but live in Utah County, no worries: the author will be the center of, "Confessions of a Chocoholic Cook," an event at the Scera lobby in Orem, on March 18. It's FREE, but you must RSVP by the 16th to covenant promotions at gmail dot com. 1) Covenant has again generously donated 2 copies (so there'll be 2 winners!) of another music CD, this time Grammy-nominated pianist Glenn Hatch's, "Love Notes: 24 Romantic Favorites." Songs include the love theme from Somewhere in Time, Clair de lune, "Think of Me" from The Phantom of the Opera, and many more. Gorgeous music. 2) SLC Baby Bandz is donating a great gift pack that includes a Scandinavian Ribbon Bow, a Rose Garden (Hot Pink) clip, White Daisy clip, and a white hair band, a total value of $15.00 (tax included). 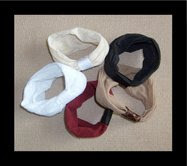 All three accessories attach to the baby band or can be worn separately as hair clips, so it's great for all ages. Be sure to check out their other products HERE. 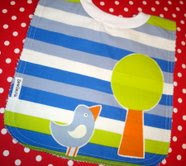 3) This darling bib from Sew Sara has a crew neck (like a T-shirt) and pulls easily over baby's head. It fits babies all the way up to toddlers! Sara's 2 & 3-year-old kids STILL wear them! The best part is that kids can't easily take off the bib. She uses 100% cotton fabric on the front, and the funky bird and tree applique scream, "Spring!" (Something I think we're all dying for about now.) 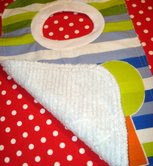 The back is plush cotton chenille and the edges are double-stitched with a zig zag edge. Very fun and hip! Measures approx. 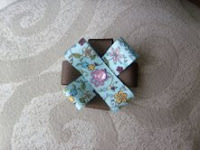 11.5" wide x 16.5" long--generously sized for lots of coverage. 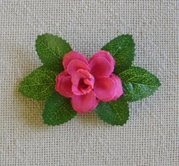 Visit the Sew Sara website to see more of her darling products. The Gold Gift Basket from Colorado Kernels, my hands-down favorite gourmet popcorn company EVER. The whole shebang is valued at $40. Thanks to all of my sponsors! Be sure to visit them. They all rock! Be sure I can contact you if you win, whether it's through you own blog or through an e-mail address in your comment. If I don't get a response within a day of the winners being announced, I'll draw another name. For TWO MORE entries, mention the giveaway on your blog and link back to this post (not just my blog; use this post's permalink). For FIVE MORE entries, put this handy-dandy button on your sidebar and have it link back to this post. And for FIVE MORE entries (for a possible THIRTEEN total entries! ), post the book trailer for Tower of Strength on your blog. Find the trailer on YouTube here. (I was going to give you the embedding code, but it didn't work for some reason. As always, I'm a techno-idiot.) From YouTube, copy and paste the embedding code into your blog post (under the "edit HTML" tab). Easy peasy. To simplify things, feel free to post about (and link to) the giveaway AND post the trailer all on the same post (that's 7 extra entries for you in one fell swoop). I'm helpful like that. For any extra entries you do, be sure to drop me a line either in the comments or via e-mail to let me know you've linked, posted the button, and/or posted the trailer so I can be sure to add all of your extra entries to my list before I do the random number generator thingy. WINNERS will be drawn each morning and announced here.